I am a fan of simple drinks. 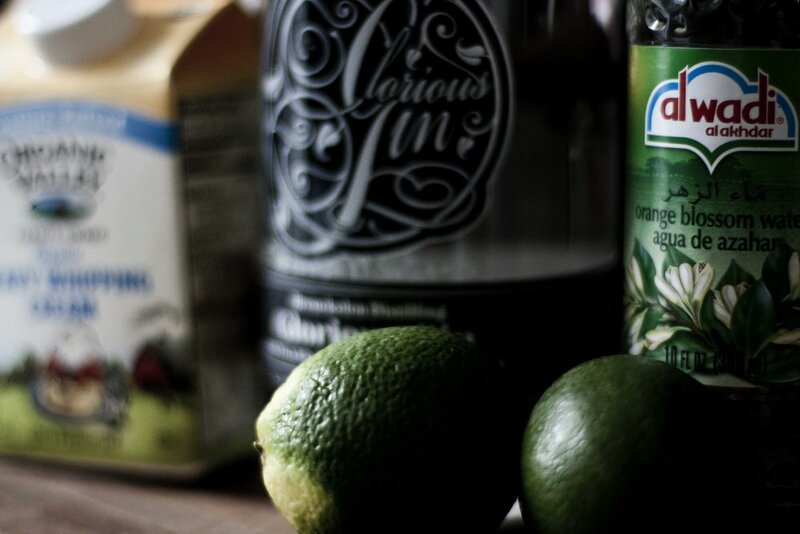 With fewer ingredients, you can taste how each ingredient adds depth to the cocktail. Simpler drinks are also easier to make, which is fantastic after a long day of work. But there are drinks which reward your effort to make them. One of those drinks is the Ramos Gin Fizz, a classic cocktail requiring a relatively high amount of labor, but which rewards you handsomely with the finished product. Add all of the ingredients except for the soda water to a shaker. Do not add ice yet. Shake vigorously for one minute. Add ice to the shaker. Shake again until chilled. Strain into a highball filled with ice. Top with soda water. Fizzes are a classic category of cocktail. The most well known of the fizzes is the gin fizz, the delicious mix of gin, lemon juice, sugar, and soda water. 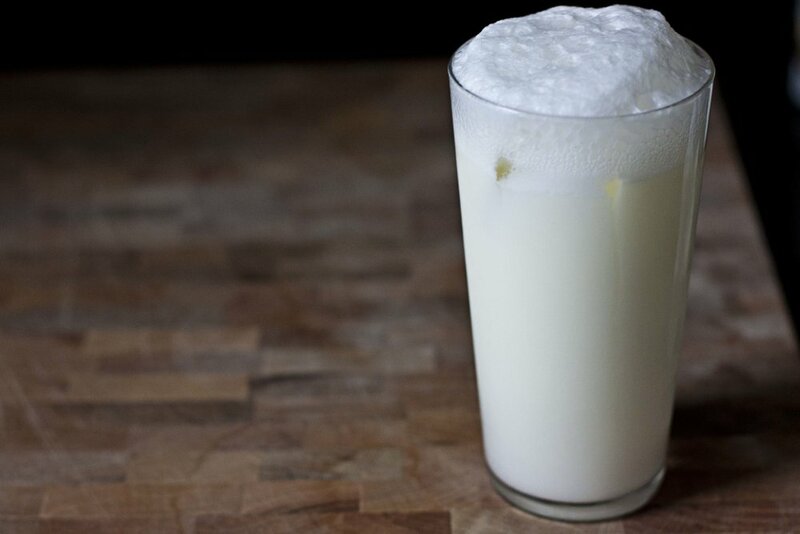 The Ramos Gin Fizz, which was invented in 1888 by Henrico C. Ramos at the Imperial Cabinet Saloon in New Orleans, alters the classic gin fizz in two key aspects. First, the addition of the cream and egg white change the texture of the drink. And second, the orange flower water adds to the botanicals of the gin to create a very light and floral aroma. A quick word about using egg whites. An egg white in a cocktail gives a nice fluffy meringue on the top of the cocktail. It's a wonderful touch that is called for with certain cocktails, including the Ramos Gin Fizz. But to achieve that meringue, the egg white needs to be fully emulsified. This is why most drinks which include an egg white require what is known as the "dry shake." A dry shake means shaking the cocktail without ice. Without ice, the cocktail can whip around in the shaker to emulsify the egg. The second shake with ice will provide the traditional dilution and chilling. And lastly, a quick word about the orange flower water. Orange flower water, also known as orange blossom water, is a clear liquid distillation of orange blossoms. It is very powerful so it is usually called for in small amounts. You can find it in gourmet grocery stores, Indian grocery stores, or Middle Eastern grocery stores. It usually comes in a small bottle so I purchased a small dropper bottle to control how much I add. I suggest you do the same. The Ramos Gin Fizz is thought of as a brunch cocktail, but I think it's great anytime of the day. With the exception of the orange flower water, the ingredients are very easy to get. So the only real difficult part of making the Ramos Gin Fizz is the labor involved. But it's worth it when you taste how refreshing it is and how elegant its perfume is. Make this drink once and you will surely come back for more.